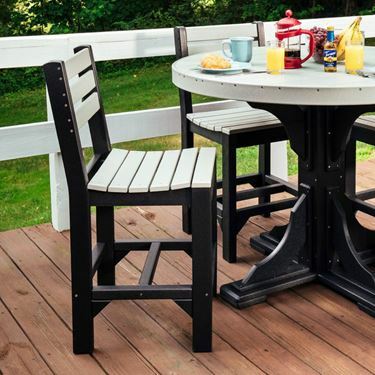 From the most economical to the extravigant, take a look at what we have to offer, keeping in mind customer service and reliability as we are located within 30 minutes of the builders we work with as we begin our 6th year serving you, our customers, selling the best of outdoor furniture made in Ohio. 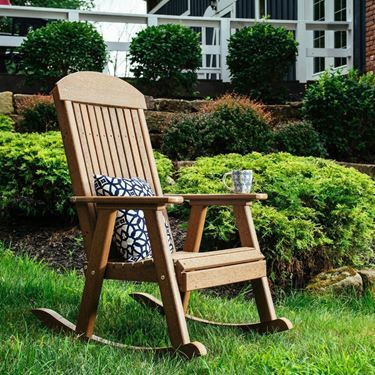 From pressure treated select pine wood furnishings to Polywood, made from recycled milk and soda bottles...The highest quality and a great selection of Outdoor Furniture. 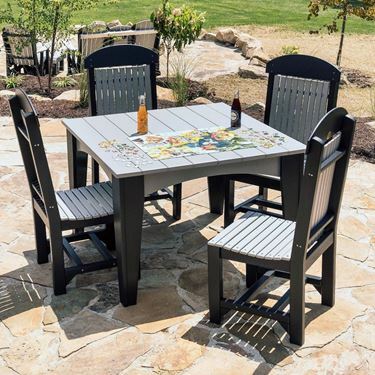 If it is Patio Furniture you are looking for or Garden Table and chairs or Lawn furniture for your backyard, we have a great selection to choose from. Available in three heights and a variety of colors, the Regular Chair is our most versatile seating option, pairing nicely with any of our LuxCraft dining tables. So choose your favorite table, gather enough chairs for friends and family, and you’ve got the makings of a lovely dinner party. 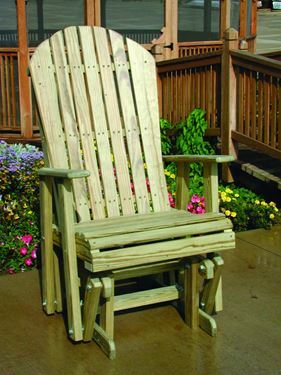 Luxcraft still makes one of the best made pressure treated yellow pine 2' Adirondack glider chairs you'll find anywhere. This one measures 27" wide, 32" deep, and 47" high. Ships unfinished, but no need to wait, as the wood is ready to accept a stain or paint upon delivery. Or simply leave it as is for that natural look. This piece ships free to you. 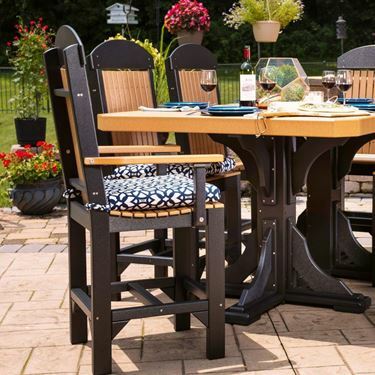 The straight edge, low back design of our Island Chair lends a more contemporary and casual air to any outdoor dining space. And while it looks terrific with the Island Dining Table, it’s versatile enough to pair with any of our LuxCraft tables. 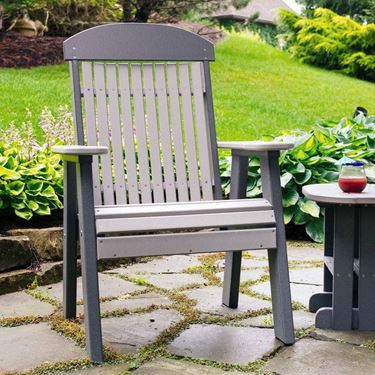 So pull up a chair, pour yourself a glass of lemonade, and relax! 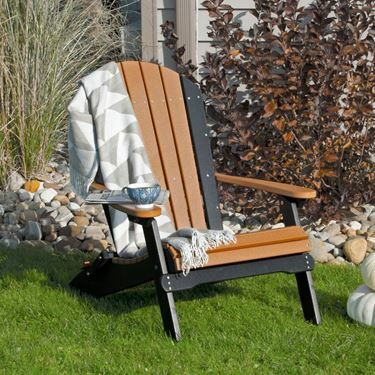 Measures 39" high, 31" wide, and 36" deep....but folds up for easy storage, ready to pull out for company or out into the yard for around that campfire, and available in 26 color choices. Call 330-949-6183 for a cost of delivery to you. 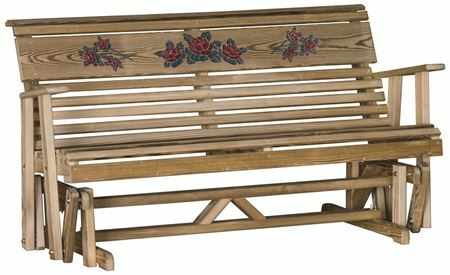 This planter box works well with flower arrangements, or even dwarf trees. It measures 24"wide x 24"deep x 19"High. It comes with a removable liner that is 18" square with a soil capacity of 35.4 qts. Both liner and box have drainage holes in the bottom. 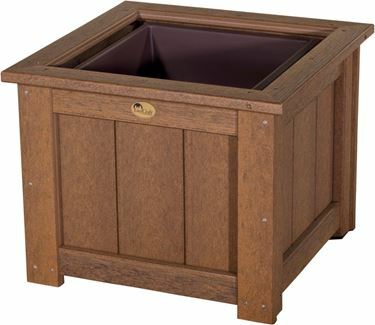 This planter box is available in 12 great colors, including a new one this year called Antique Mahogany. This new color has a couple attributes that are unique...it both looks and feels like real wood. (shown left) This Luxcraft Planter box ships free. 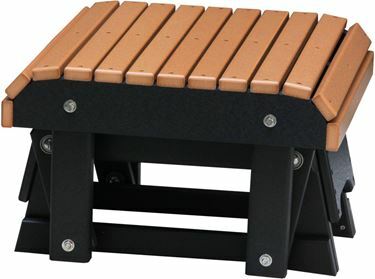 This LuxCraft Poly Deluxe Glider Footrest pairs well with 2'glider chairs and 2' swivel gliders. It measures 22" wide, 21 1/2" deep, and is 14" high. 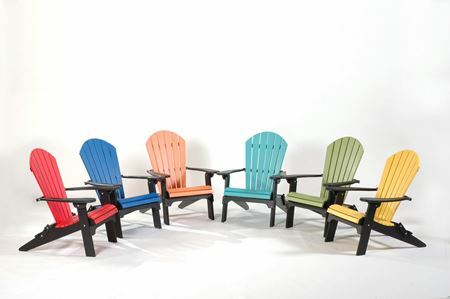 It is available in 18 stock colors for fast shipping, and of course, it ships free! 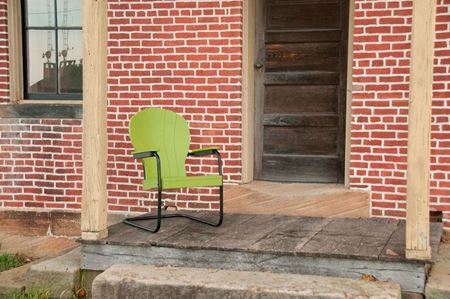 This Amish made "retro series" Chair is a blast from the past. 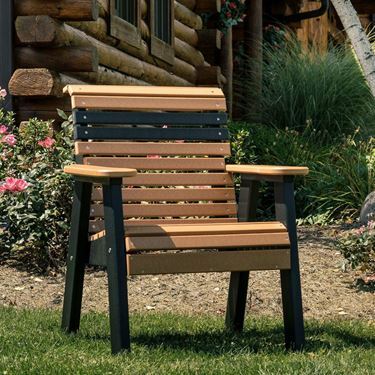 Features a slight rocking motion,and great lumbar support. 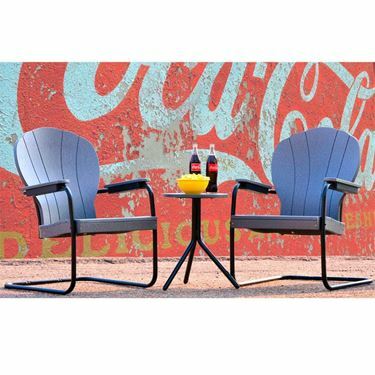 It is built on a Black powder coated metal frame, the seat, back, and arms are made of Poly material. Available in 10 poly colors. 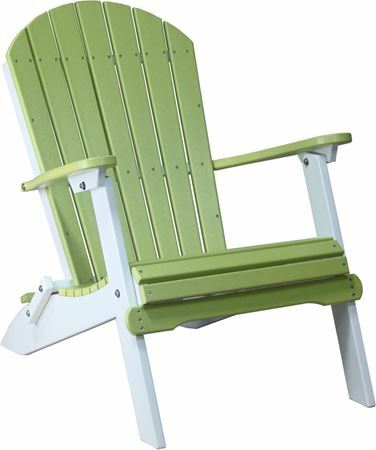 It measures 37" tall, 22 1/2" wide, and 27" deep and weighs 35 pounds.